This is another excellent addition to the Digital Painting Techniques series. 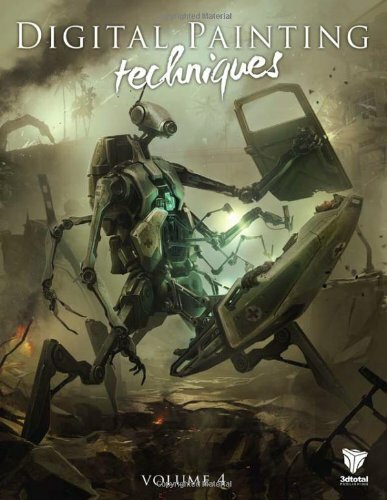 It's a 288-page book with tutorials from top artists, covering the conceptualisation, as well as the actual techniques used to create the piece of art. The chapters are split into Subjects, Styles, Techniques, Project overview and lastly a gallery. For Subjects, they have tribal warriors, droids, vehicles and environments. Different artists will present their own creative process. Styles have pin-ups, comic art and manga. Techniques look at illustrating fairy tales, creating custom brushes and painting different materials. Project overview looks at the high level conceptualisation of ideas and presentation. It's an insightful and informative book for digital painters.